Home Addition & Remodeling Contractor Serving PA & NJ | Basement | Bathroom Renovation | Window | Roofing | Siding Replacement and Installation. ImproveRite is known as one of the top remodeling companies throughout Southeastern Pennsylvania and Central New Jersey. From roofing to siding, bathroom remodeling to basement finishing our team of highly skilled home remodeling contractors get the job done right at an affordable price. Contact us today to see why we’re rated 5 stars. Finding good roofing companies can be difficult. ImproveRite has been doing top quality roofing repair and replacement since 1995. Our highly skilled and professional roofing contractors utilized the best products and latest techniques to give your home the ultimate new roofing system money can buy. Trust us to get the job done right and on time. Siding installation is not just something we do at ImproveRite, our siding contractors are the best in the business! With hundreds of 5 Star Reviews, our customers can’t be wrong. As one of the top vinyl siding companies in Southeastern Pennsylvania and Central New Jersey we only use the best products to ensure your complete satisfaction. Are your windows and doors leaky and drafty? Expert installation and high-quality windows and doors will keep old man winter out while saving both heating and cooling costs. If you looking for a professional door or window installation, you can count on ImproveRite as you go to remodeling contractor. At ImproveRite we’ll do the job right the first time! Remodeling the bathroom is considered the top home improvement upgrades you can do to your home. Whether you have a bathroom remodel ideas or would like to see our bathroom designs, ImproveRite can help you with your bathroom renovation with our expert bathroom remodeling contractors. Basement finishing is a great way to extend your living space without the high cost of adding an addition. If you’re interested in transforming your basement, contact us today for a free estimate. Our experienced and professional basement remodeling contractors can build you the ultimate living area. 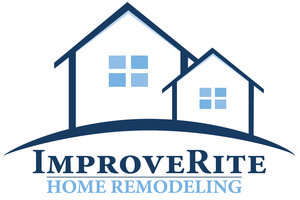 Welcome to ImproveRite, your local home addition or remodeling contractor. We specialize in basement, bathroom renovation, window, roofing, and siding replacement and installation. Call us at (888) 392-7483 today for a free no obligation consultation on your next home improvement project! ImproveRite is a home improvement company serving Southeastern Pennsylvania and Central New Jersey. Our home improvement contractors are dedicated to displaying the highest standards of excellence while providing home renovations that meet or exceed our client’s request. A new roofing system is one of the biggest investments you will make in your home. Invest with confidence when choosing a new roof. We only use top quality products and our workmanship is unsurpassed. Our roofing contractors are amongst the best in the business serving PA & NJ. Siding makes all the difference in your home’s appearance. If you are considering siding replacement, our expert siding installers pay close attention to every detail. We install vinyl siding. Our siding contractors provide expert siding repair and replacement throughout Southeastern, PA, and Central, NJ. Since 1995, ImproveRite remodeling company has grown to become one of the top construction service providers in Southeastern, PA., while also serving thousands of Southeastern Pennsylvania and Central New Jersey clients. We have completed thousands of home remodeling services including roofing, siding, window and doors, bathroom remodeling, basement finishing and much more. Whether your project is big or small, our professional home improvement contractors work extremely hard to give you the best home remodeling experience possible. One look at our hundreds of 5-star reviews will demonstrate our willingness to go above and beyond to make our clients happy with their home renovation project. When it comes to helping you create the home of your dreams, ImproveRite can help you step by step in your home remodeling project. Our home remodeling contractors are some of the best in the industry with decades of experience. Windows and doors are usually the first thing people notice when they pull up to your home. If you are struggling with leaky or loose doors, drafty or tired windows, you should consider door and window replacement. From new doors to replacement windows, we’ll get your curb appeal back with professional installation. The bathroom is where you begin and end your days. It should be the most relaxing, functional room in your home. Our Southeastern Pennsylvania and Central New Jersey bathroom remodeling contractors can help you achieve the look and feel you need to start and end your day the right way.